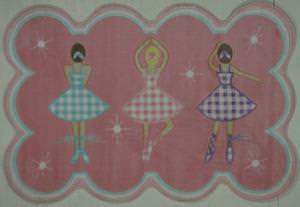 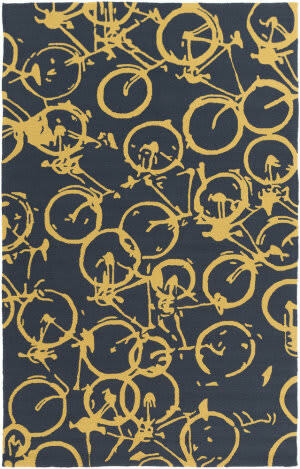 This line by Fun Rugs is made with the teen spirit in mind. 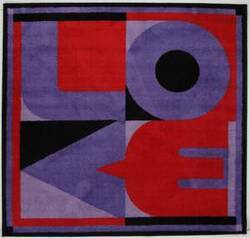 From funny text slang to modern designs, these are rugs are sure to be a hit. 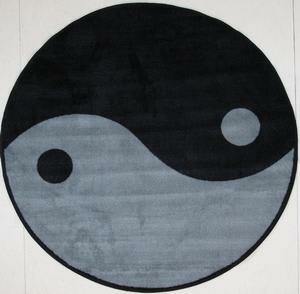 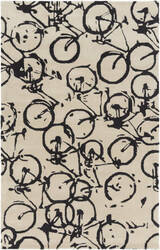 Impress your teens with your sense of trendy style when you bring this rug into their room. 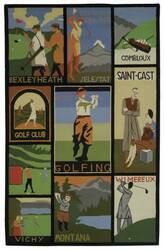 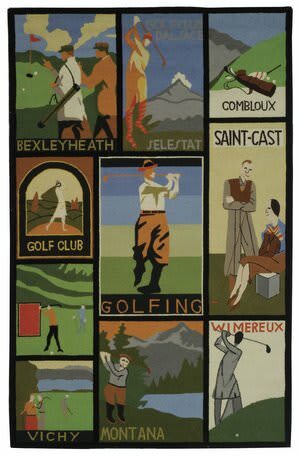 Give a nod to the history and tradition of the game of golf with Saint Andrews. 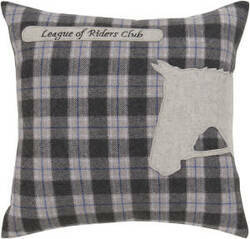 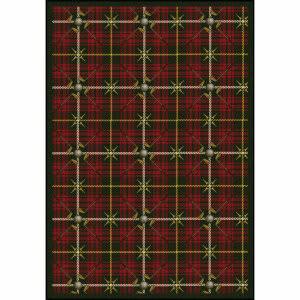 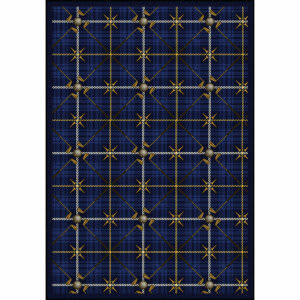 This sophisticated yet unassuming design is based on the classic tartan pattern and is perfect for the golf pro-shop, clubhouse, and country club. 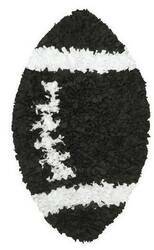 This football field rug will entice children of all ages to tee up the pigskin for hours of fun. 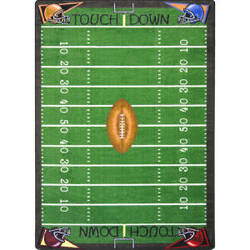 They can punt, pass, or drive their way to the end zone and kick the extra points for victory! 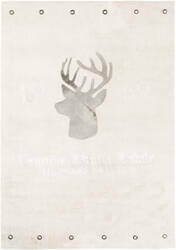 This hand hooked Rug Market America rug was made in China from Cotton Blend. 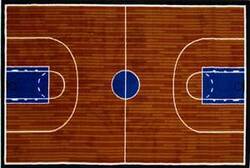 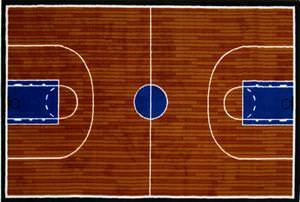 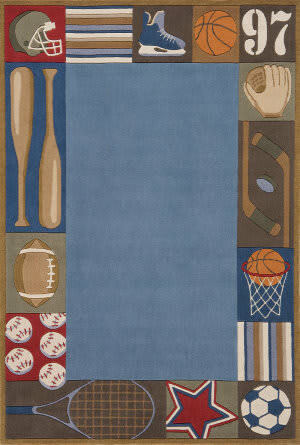 This transitional style area rug features a sports design with red, blue, light blue and beige colors. 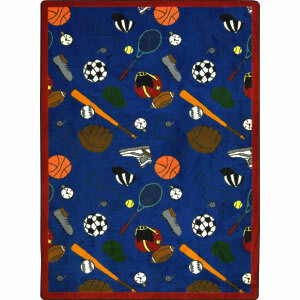 Fun Rugs has made a line of mats that are perfect for any play area. 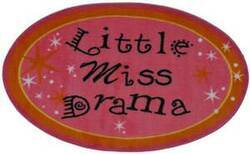 Whether your child uses it for Hot Wheels or Barbies, these will be a great addition. 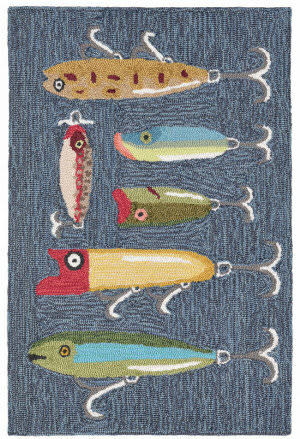 These rugs bring elements of decoration, fun, and learning altogether. 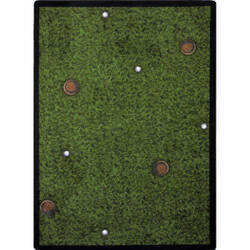 Also, a great idea for a classroom setting. 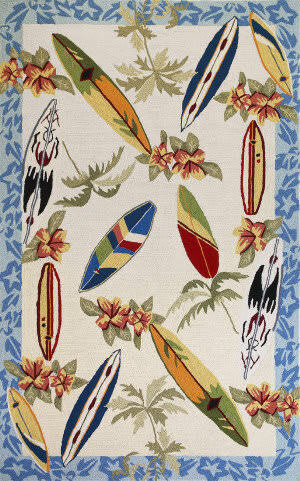 Hang loose with this tropical surfing inspired area rug. 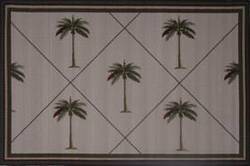 No need for frilly palm trees and flowers. 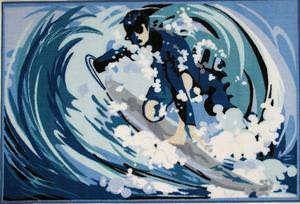 This rug is perfect for your little surfer. 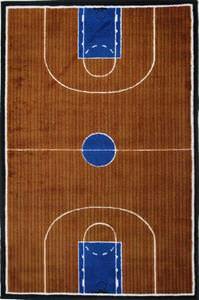 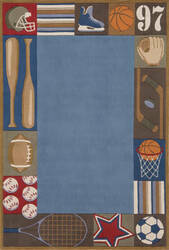 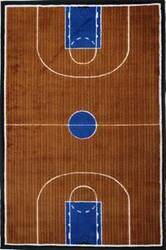 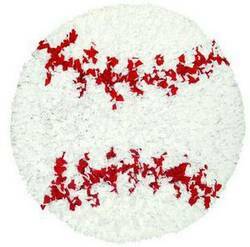 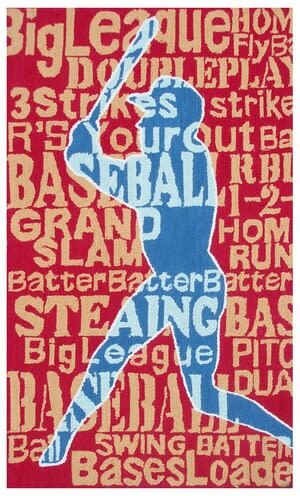 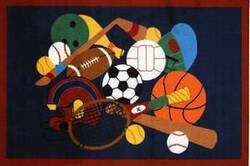 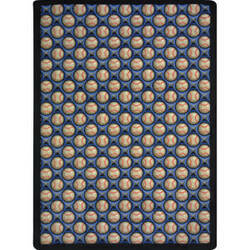 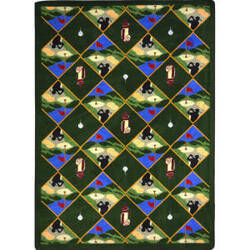 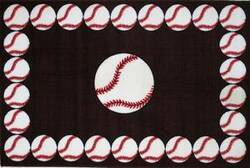 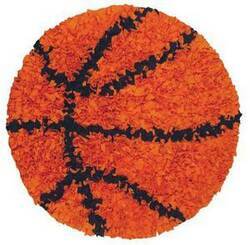 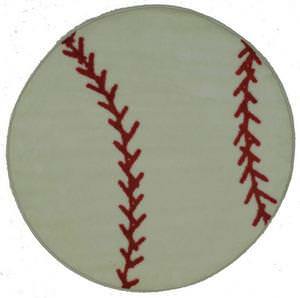 For the sports fanatic, this rug is essential to any game room or bedroom. 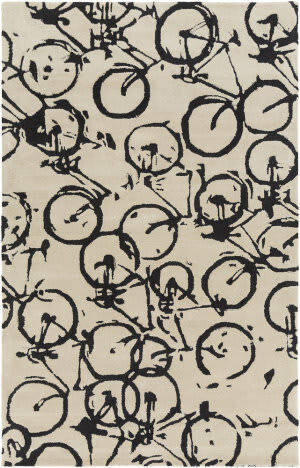 Adding a touch of color and a bit of design, this rug is a great choice. 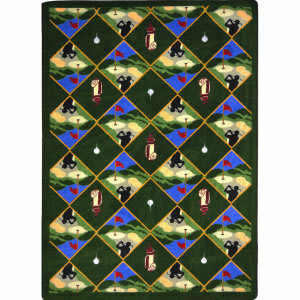 Machine made with 100% nylon, this area rug is sure to be a hit in your boy's room. 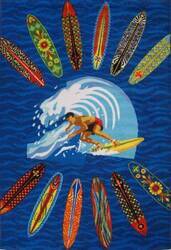 Everybody's surfin now, everybody's learnin how, come on a safari with me!!! Or at least feel like you're a surfer with this cool surfboard rug in your room. 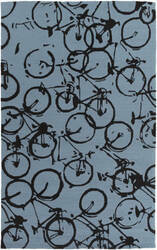 Made from 100% nylon it will stand up to years of heavy traffic and not miss a beat. 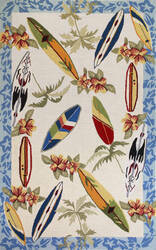 Take a trip to the coast with this tropical palm tree area rug. 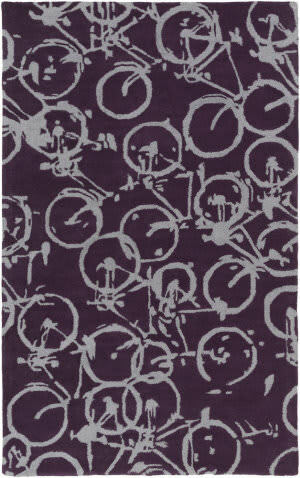 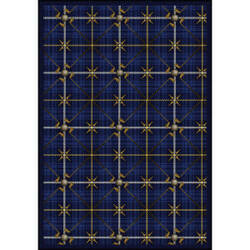 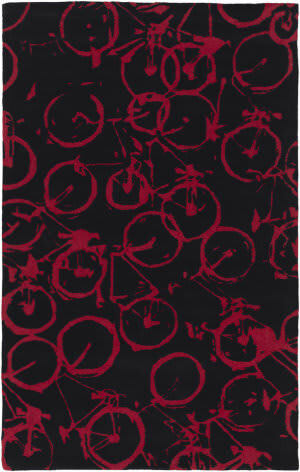 Simplistic yet bold, this area rug is a great asset to any design. 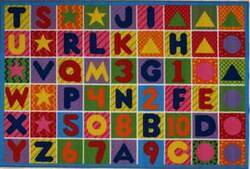 Available in Hebrew and English, these rugs will teach your little one to become familiar with numbers and letters. 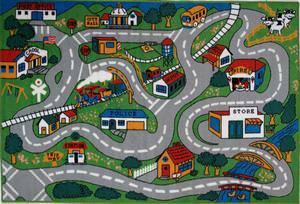 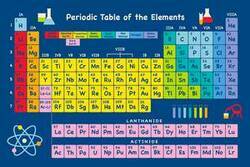 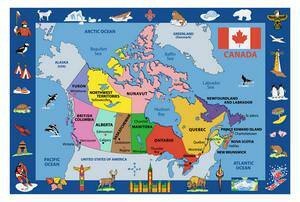 These perfect learning mats are a hit in both homes and classrooms. 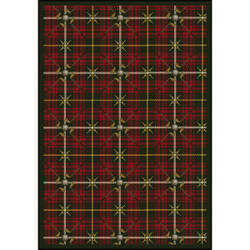 This hand hooked Rug Market America rug was made in China from Cotton Blend. 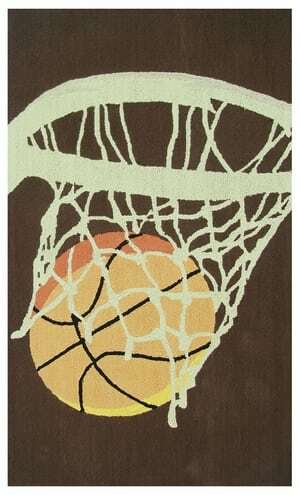 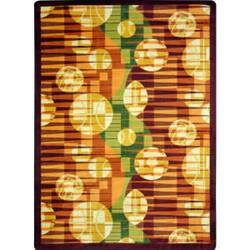 This transitional style area rug features a sports design with chocolate, orange and cream colors. Design a room for entertainment and high-stakes action with this unique and eye-catching carpet design. 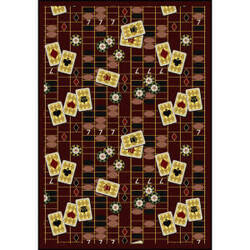 Whatever game is your passion, Feeling Lucky will set the mood for a night of fun and excitement. 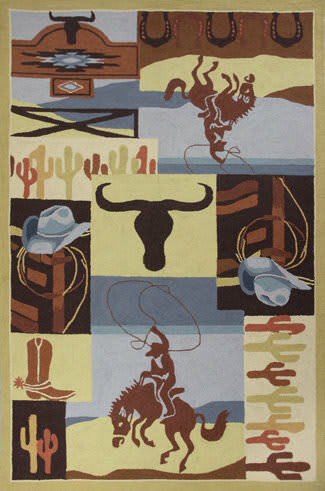 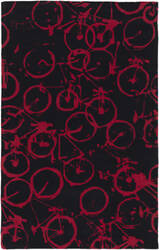 This hand hooked Rug Market America rug was made in China from Cotton Blend. 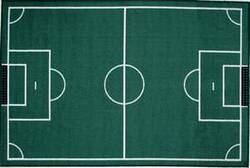 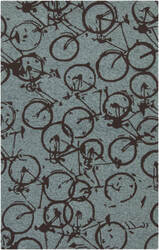 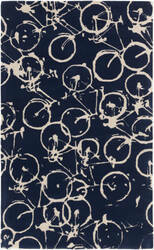 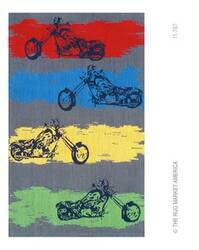 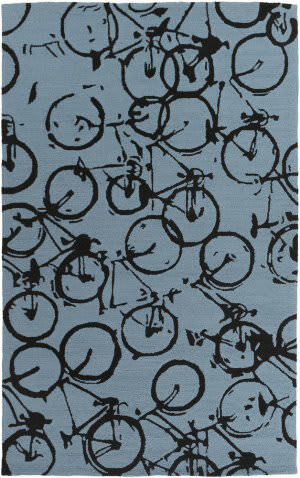 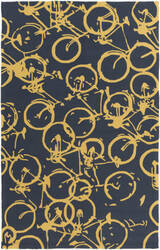 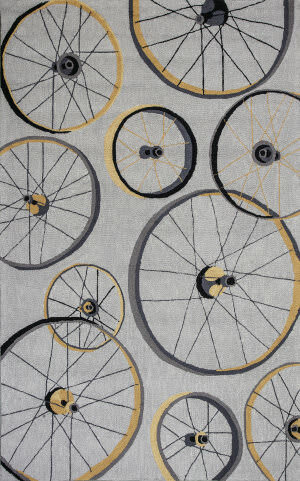 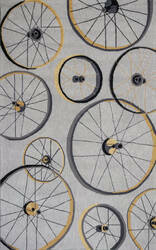 This sports style area rug features a motorcycle design with grey, red, blue, yellow and green colors.